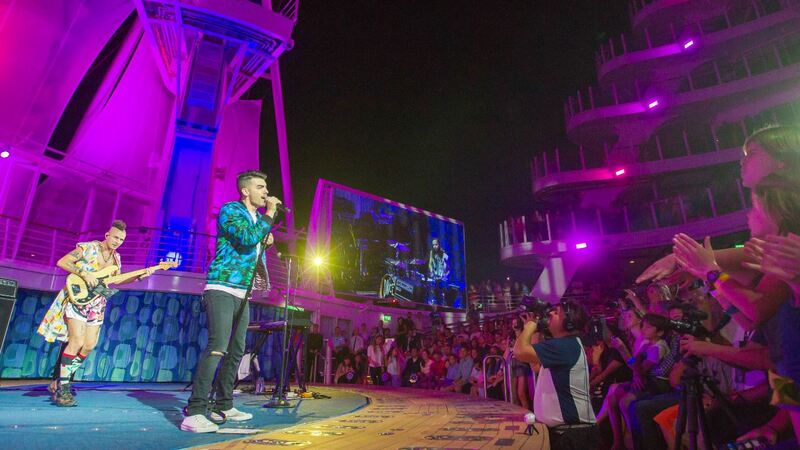 Having performed during last year’s Friendsgiving on board Harmony of the seas, it was written in the stars multi-platinum selling band DNCE would return for another slice of “cake by the ocean” on board one of Royal Caribbean‘s mega-vessels. The band will headline the world’s biggest solar eclipse viewing party during the exclusive 7-night Total Eclipse Cruise on board Oasis of the Seas. Adventure-seekers will have the vantage point of the century when Oasis of the Seas positions itself along the eclipse’s path of totality where the moon completely masks the sun for a few minutes of total darkness. “When we were invited to headline this once-in-a-lifetime event, we didn’t think twice. What could be more out of this world than witnessing a full solar eclipse at sea? ” said Joe Jonas. “We’re stoked about coming back on board with Royal Caribbean to put on a lights-out performance with a very special guest. 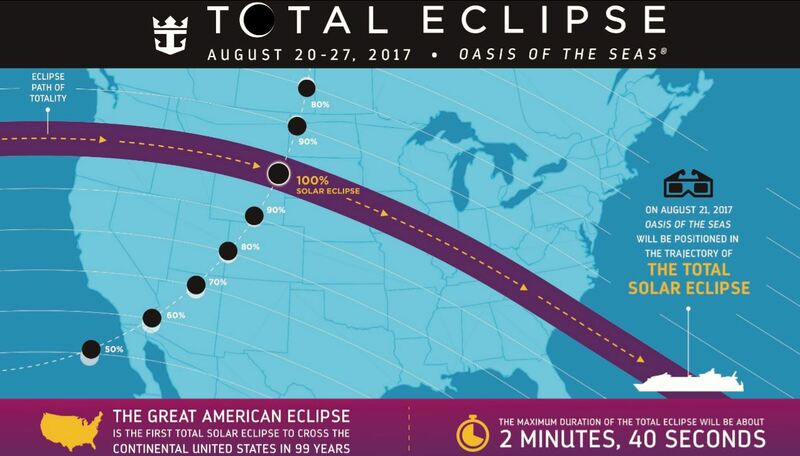 It’s beyond exciting to be able to celebrate this crazy moment in history out in the middle of the ocean.” The viewing party will last far into the night, long after the moon eclipses the sun, creating social media-worthy moments for what is predicted to be one of the most trending topics of 2017. Travelers sailing on board Oasis of the Seas will enjoy the ship’s bold and unexpected lineup of experiences and amenities which include two FlowRider surf simulators and a zip line nine decks high, Broadway-style shows and high-diving, acrobatic performances in the iconic AquaTheater. The 7-night Total Eclipse Cruise on board Oasis of the Seas will set sail on Aug. 20, 2017 from Orlando (Port Canaveral), Florida, and visit Caribbean destinations in the Eastern Caribbean, including Phillipsburg, St. Maarten; Charlotte Amalie, St. Thomas; and Nassau, The Bahamas. Seven other Royal Caribbean ships are set to sail to the Caribbean during the total solar eclipse and provide guests with extraordinary partial views of the phenomenon. The seven ships are Allure of the Seas, Anthem of the Seas, Empress of the Seas, Enchantment of the Seas, Grandeur of the Seas,Harmony of the Seas and Majesty of the Seas.